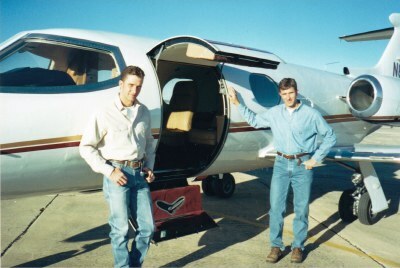 Corrigan Air Center was founded in 1995 by twin brothers Michael and Patrick Corrigan. Their love of aviation dates back to their boyhood years of chasing crop dusters that graced the fields of the picturesque farming community of La Pryor, Texas. After years of training under master craftsmen, they decided to take their dream to the next level. They opened their own custom interior facility in Hondo, Texas where they could implement their vision of coupling the finest materials with master craftsmanship and offer a level of customer satisfaction unmatched in the aviation industry. Their tremendous success led them to open a new state-of-the-art facility at the South Texas Regional Airport in Hondo, Texas. Their world class craftsmanship includes the finest interior completion services, as well as the highest quality exterior finishes available in the aircraft industry today. Patrick and Michael have over two decades worth of experience in the aircraft completion business. Our team works diligently to ensure a successful exterior/interior completion. Michael (right) leads the interior department while Patrick (left) manages exterior completions. 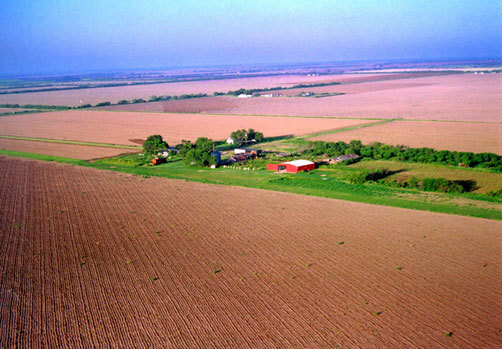 This aerial photo of the family farm in La Pryor, Texas shows off Michael and Patrick's first Corrigan Air Center location - the first of many "Corrigan red hangars."